Football is associated with the greatest number of direct catastrophic injuries for all major team sports in the United States. Catastrophic injuries can strike down any level of football player, from high school to professional, however the incidence of catastrophic injury is four times higher in college than in high school in the United States. Cardiovascular conditions, heat illness, and dehydration can cause indirect catastrophic injury just as surely as concussions and cervical spine injuries cause direct injuries. Thoroughly understanding the common mechanisms of injury and prevention strategies for direct and indirect catastrophic injuries is critical in properly caring for athletes at every level. Originally presented as a live event at the prestigious Andrews Institute in Gulf Breeze, Florida, “Injuries in Football: Catastrophic Injuries” presents up to date information, resources and techniques for proper strength and conditioning to reduce sports injuries and accelerate rehabilitation. This guide combines the professional Dr. Julian Bailes MD, Mike Kordecki, DPT, ATC, SCS and Mark Gionanini, MD. The course begins with relevant updates to concussions as the growing topic is consistently researched. Athletic trainers and team physician roles are covered as well as the importance of their relationship’s goal in achieving the physical and psychosocial welfare of the athletes. Brachial plexus injuries are confronted due to the constant involvement in football. Emergency action plans and acute management of cervical spinal care are stressed throughout the course as the focus upon catastrophic injuries is not a matter of “if,” but “when” they will happen. Case studies are interwoven through the different topics as they place real events with real people for the purpose of learning outcomes. This Seminar-On-Demand is 3 hours 50 minutes in length (check your state’s approval status in the state specific course catalog for your profession). This course is intended to instruct the professional on assessing, treating and preventing catastrophic injuries in football players. Recognize the obvious signs that athletes display that will disqualify them from activity. Recognize signs and symptoms of football stingers, direct treatment, and potential structural or functional predisposing factors to stingers. Mark Giovanini, M.D. is from Portland, Oregon and received his undergraduate degree in Biochemistry at the University of Oregon. Dr. Giovanini then received a fellowship from the American Heart Association to do basic science research at Oregon Health Sciences University. At the completion of his research, he attended medical school at Oregon Health Sciences. Dr. Giovanini has expanded his minimally invasive spine practice to the NeuroMicroSpine center in Destin Florida. Here he is adding Wellness medicine to include iPerformance Physical Therapy and Lifestyle coaching. 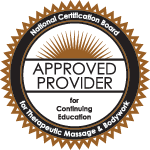 This unique combination enhances patients recovery from neck and back injuries by focusing on physical conditioning, hormone balance and nutrition. This center will also feature pain management and anti-aging specialists to complete the holistic approach to spine care. Dr. Michael Goodlett serves as Auburn University Sports Medicine team physician, overseeing all aspects of the daily sports medicine/primary care needs of all Auburn student-athletes. He coordinates that care with the athletic training staff, local medical community, and Dr. James Andrews. 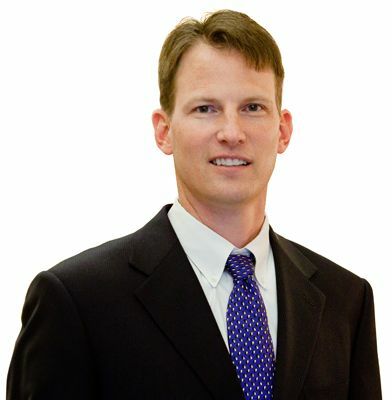 A charter member of the American Medical Society for Sports Medicine, Dr. Goodlett is also a member of the American Sports Medicine Fellowship Society, American Medical Society, Medical Association of the State of Alabama, Lee County Medical Society, American Academy of Family Physicians and Alabama Academy of Family Physicians. An affiliate professor in kinesiology at Auburn University, he is a member of Auburn's Institutional Review Board for the Use of Human Subjects in Research, and previously served as Medical Director of Auburn's Drake Student Health Center. Formerly the team physician at Jacksonville State, Dr. Goodlett was named 2008 SEC Team Physician of the Year. He is a fellow of the American Board of Family Practice and a Certified Team Physician with the American College of Sports Medicine. 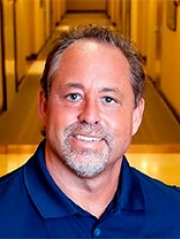 Mike Ryan is a sports medicine expert with twenty-six years NFL experience as an Athletic Trainer and Physical Therapist with the Jacksonville Jaguars and New York Giants. 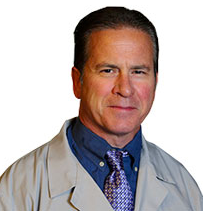 He is a trusted practitioner and noted speaker throughout the country on sports injury prevention and treatment. An avid and accomplished endurance athlete himself, Mike is a 6-time Ironman Triathlon finisher. Mike's driving mission is: To Enhance the Health of Others and Myself. 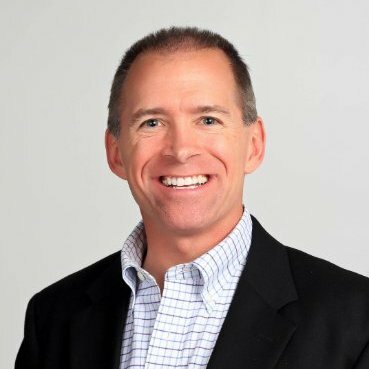 To that end, he is the creator of MikeRyanSportsMedicine.com - a website that shares his expert sports medicine knowledge to keep athletes healthy and competing. Dr. Robert Jensen is a physical medicine and rehabilitation physician at The Andrews Institute, an affiliate of Baptist Health Care. Because he's an employed physician, Dr. Jensen is also a proud part of the Baptist Medical Group network of quality, caring physicians serving the greater Pensacola area.